Langlois will move your piano anywhere in the USA. Whether it is a spinet, upright, baby grand or concert grand. Langlois & Sons are trained piano moving professionals. We use only the top of the line equipment to allow a seamless experience from start to finish. Our trained staff is capable of any job, difficult to moderate. 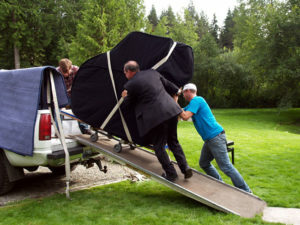 We take extra care in padding your piano during transportation and use specialized piano moving equipment in every area of the move; dollies, skidboards, ratchet straps, padded piano covers, foam buckle protection. No piano job is to great for our team. We do room to room, nationwide, international piano moving. Please fill out our form below for exact quote. 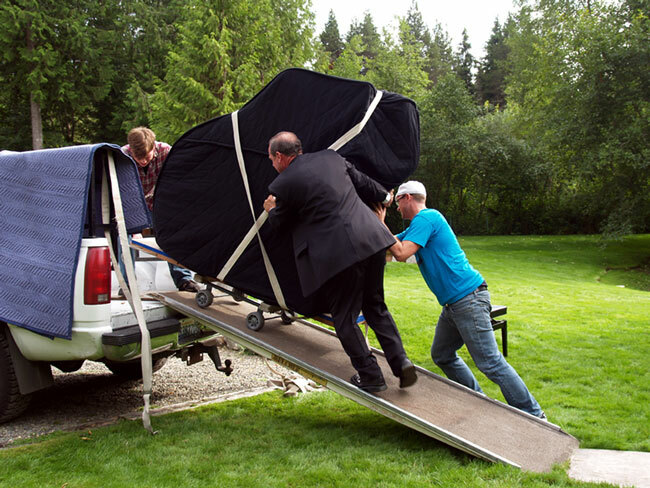 *Your piano is protected & insured throughout the whole move. We offer the security of having insurance coverage on each and every move. We carry our coverage in the truck to show proof. Do not trust a company that cannot provide proof of coverage. Please note, additional time and charges above a quoted price maybe added in special cases or if insufficient information is supplied, e.g. ; upending piano for tight hallway corners, yard configurations and pathways, steps and stairways, inclines, etc.